A large building project in North Somerset to knock through the back of the house into one large entertaining space. 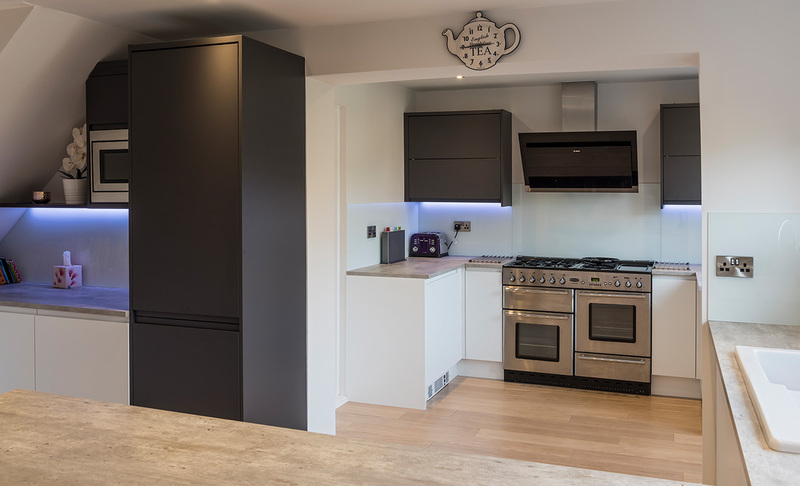 Stewart and Nicola choose PK to design and supply a beautiful Strada Kitchen in Matte White and Graphite with an abundance of light, storage and preparation space. This room now functions as a perfect space for this family. We felt like our ideas were listened to and you were very good at giving advice and support. All the fitters/trade services worked hard and were friendly and professional. We liked the fact that we could trust them to be alone in our house and/or have a key. 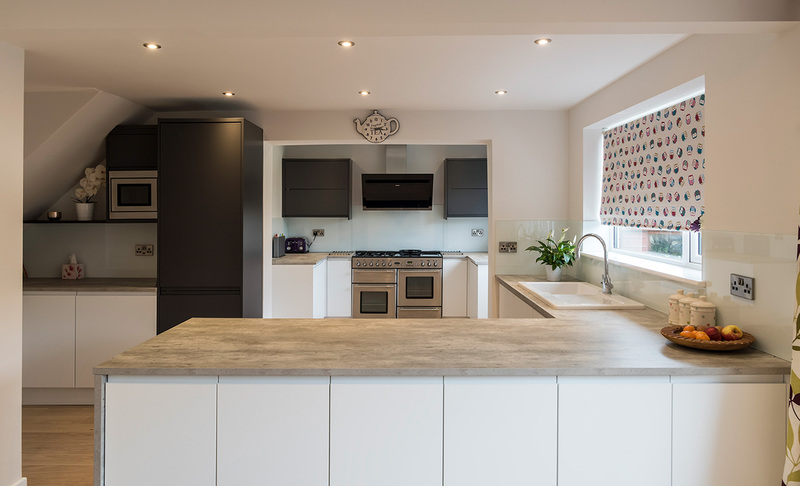 We have really been enjoying our beautiful new kitchen from Portishead Kitchens. Chris and Anna worked hard to ensure we had a design that not only looked great, but suited our busy family life. Any problems that arose were dealt with quickly. We particularly liked the personal touch that you would not experience with bigger companies. We will be recommending them to our friends and family.